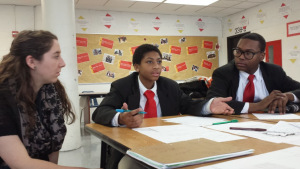 Vote for Urban Prep – Englewood Campus – Trick’d Out Open Space Project!! | R.A.G.E. 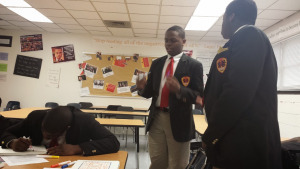 Don’t forget to vote for Trick’d Out Open Spaces – a youth lead project RAGE is working on with Urban Prep! Please take 30 seconds to vote for a project RAGE is working on with Urban Prep Englewood Campus students Pride of Solidarity 2017. The project – Trick’d Out Open Spaces! 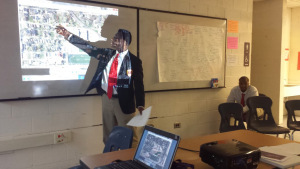 Background – The Englewood neighborhood in Chicago needs to be beautified and Urban Prep Englewood Campus class of 2017 wants to take on that charge! The students has been working closely with RAGE and they have decided to Trick out a vacant lot to repurpose it to a communal space with the use of shipping containers across the street from the school in Englewood. We will need cleaning supplies and designers to help us beautify the lot and tricked out the shipping container in order for it to be a hub for the youth and adults. Englewood School Repurposing Retreat a Success!